Yep - stamina and suppression. I wonder what happens when your Suppresion runs out. Back to resupply for new underwear? "Oh balls I've gone insane, better lie down for a bit... Ok I'm back to normal." Yeah even when I was LOOKING for something at 2:18 I almost missed it. Last edited by husbert; 03-11-2011, 08:32 AM. I don't know if my ears are hearing things but I did like the weapon firing sound. I think something needs to be mentioned about the much improved the AI is over RO. Something like: RO2 can be enjoyed online and off, with vastly improved infantry and tanking AI -bots take cover, suppress, and retreat when morale is low. "Tripod MG34"? 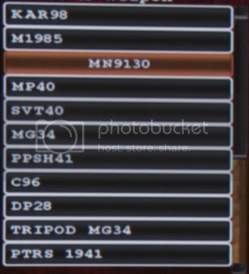 Is there a "Bipod DP28" or "Ironsight MP40" in there as well? Last edited by Tank! ; 03-11-2011, 05:03 PM. I'd assume it's just to simplify the name, or it's a placeholder, like most stuff in the game. 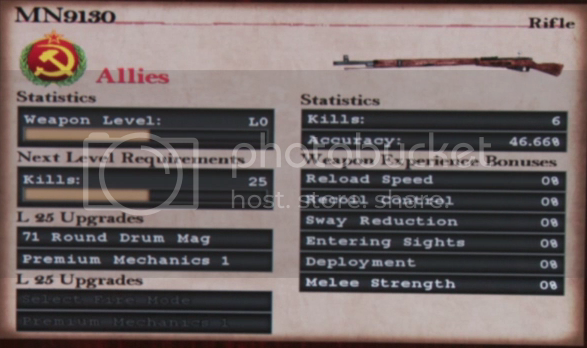 Tripod MG34 probably means the static MG34 on a tripod that is spawned randomly in the map. Should be labeled "MG34" then.